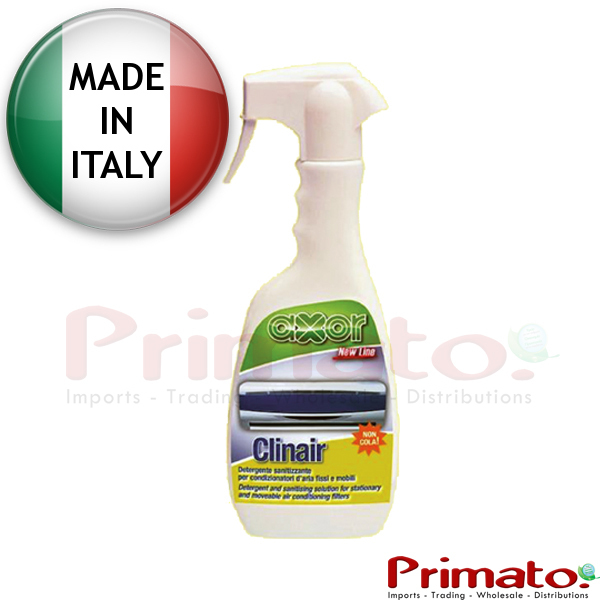 Cleans and sterilizes the air conditioner and the filters. The product is effective because it is viscous. It sticks to the surfaces and keeps them clean. Allows to clean the partitions without creating drops. Ref: CA115. Packaging: 500 ml Bottle with sprayer. Remove the filter from the unit and place it over a bowl, lightly shake the bottle and spray on the filter. Allow to soak for about 10 minutes and then rinse. Reinstall the filter when it is dry.